So, we know that in Inventor we can use ilogic to create some automated parts and assemblies to quickly and easily modify them, but in SolidWorks we have what is called DriveWorks. 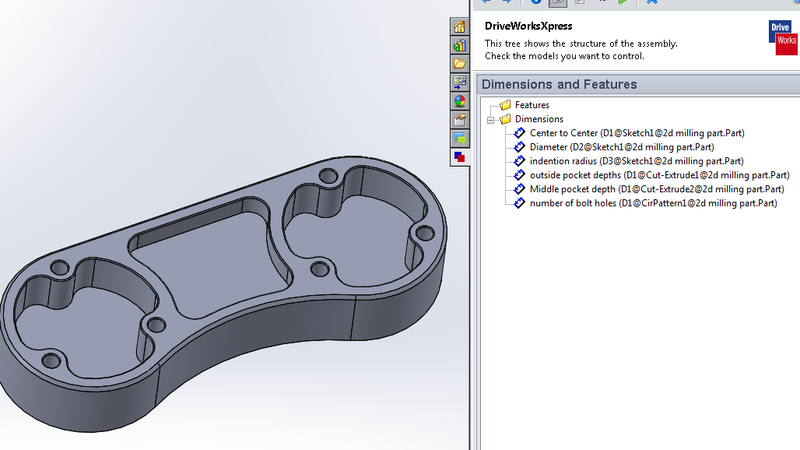 Now, the standard DriveWorks that comes with SolidWorks is the Express version that is free. now this is not as powerful as ilogic, but it will still do the trick to help us speed design changes or creation of parts for customers that just want little tweaks from a standard part. So, in this I am not going to walk through the whole process (mainly because this would be one long post if I did). But, I will show phases of it, and I will also be creating a video of me doing this as well. I have a model with 2 solid bodies (i know you have probably seen this part before). 1 represents the finished product and the other represents the stock. 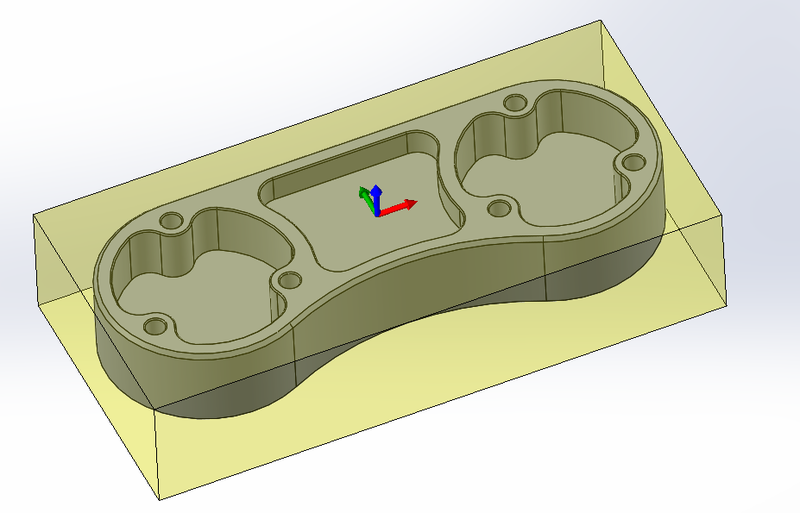 Now, the stock is driven by the dimensions of the finished part so you won't have to worry about the stock being wrong. 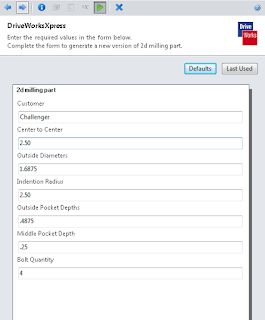 On the Evaluate Tab in SolidWorks you will find the DriveWorksXpress Wizard. Click on this to get it going. So, i went through and created the new database, and am to the point where I am capturing dimensions and features that are needed to drive this part. Once I have the dimensions captured that I need the next step is to create the inputs that will define the form that is filled out. The last thing to do is to build the rules that are going to drive the part. So, in this case I am going to have all the inputs driving my dimensions so it is pretty easy working this one out. the only other rule that you have to build is the naming of the part. For this I just had it driven by the customer name which is one of the input values. 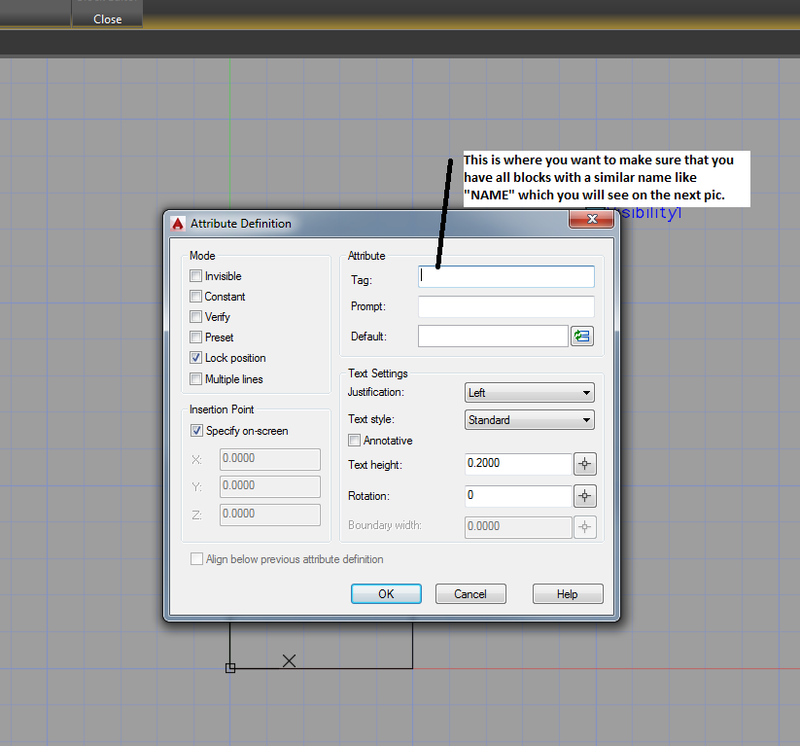 Now, I have a functional DriveWorks Build, but we are looking at the HSMWorks aspect as well. 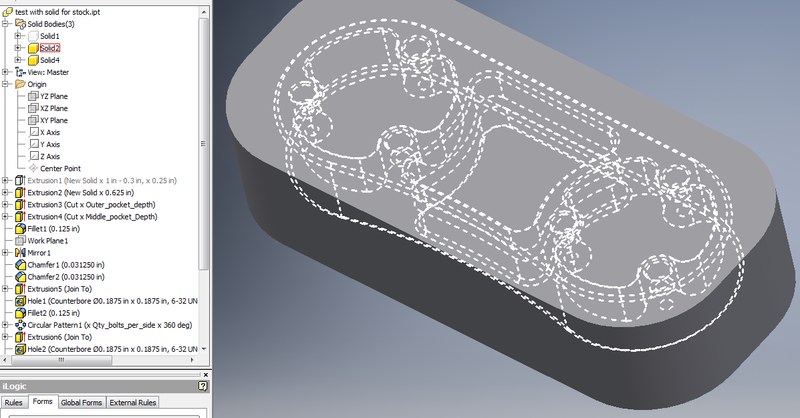 So, in my CAMManager tab you can see that i have toolpaths already programmed for this part. And the setup is setup to read the part and the stock solid that i built as well within the part. Now, I can run my DriveWorks Form and see what happens. 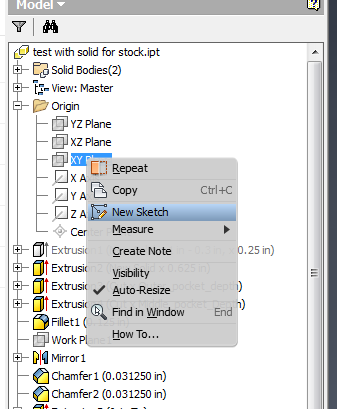 Once I hit the create button you will see that the part has now been created with the new name and you can see in the image below that the toolpaths are still there and are now needing to be regenerated do to the changes in the model. 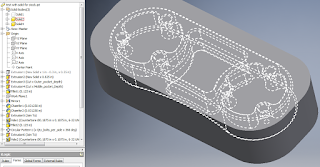 And now all I have to do is regenerate the toolpaths, post it out and I am good to go. Later this week I will post another one regarding text and Driveworks with HSMWorks. Hope you enjoyed this and helps to inspire some new creativeness. 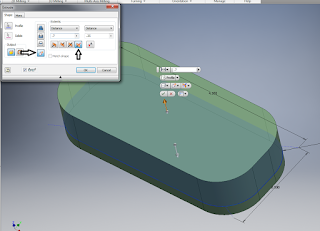 Creating a Second solid body in Inventor within a part. I am going to start a series that shows how to create a 2nd Solid Body in all 3 pieces of software because this is something that people don't take advantage of when using the different CAD softwares because some don't know how to do it and don't realize that you can define your own stock solid. The first program we are going to look at is Inventor; and we are going to look at a part that I have modeled and then we will create a solid to represent a stock solid. First, I have my model. Now what I want to do is create a sketch on the XY plane; so, to do this i will go to my model browser and right click on the xy plane and select "New Sketch". 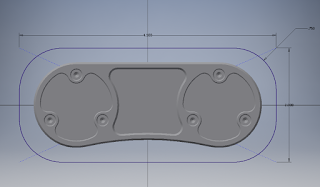 So, now it will start the sketch on the XY plane, and I am going to create a two point center rectangle and snap the center to the 0,0 point of the part. Then i will place fillets on all 4 with a 3/4" fillet. In the pic below you can see the sketch that i created. So, once I have this sketch I can now create an extrusion feature. Now, in this feature you will want to be sure to specify an Asymmetric extrusion because we are extruding a distance above the part and a distance below. Keep in mind this may not always be the case, but in this scenario that is what we are doing because I am going to place the lower portion in a vise to mill on. 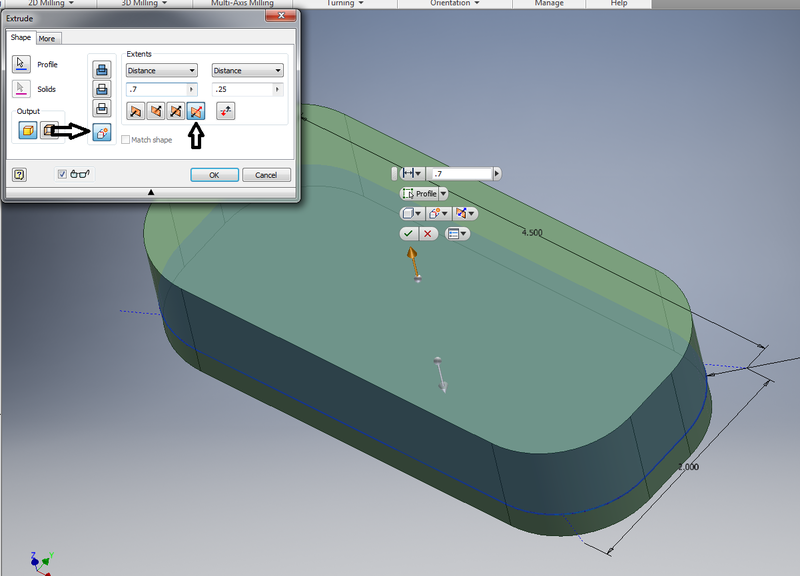 Then lastly you want to click on the "New Solid" button which is below the join, cut, and intersect selections. Once you have your extrusion distances defined just click okay and there you have a second solid body to use as your stock selection. Hopefully this is helpful and remember this can be utilized whenever you are milling a part that has stock that may have gone through a waterjet process or some other cutting process prior to machining. It's been a while since I have posted on here, but there has been a lot of changes and moves happening. I have finally settled with a great company and will start post new tips and tricks here soon. Glad that this blog has been a place for people to find answers to how things are done, and will hopefully be helpful once again with new tips. Stay tuned for new material. So, here is one for you LT users. How many of you want to be able to export your attributed block info into an excel doc inside your LT but aren't quite sure of how to do it. Well, here is a quick fix for you; the command is called ATTEXT. You need an exporting template so that it knows what information to look for, but other than that it is pretty straight forward if you have all your blocks with a standard tag name for a block description. I will show a pic of what i mean by that here in a bit. First, let's see what this template looks like that is needed to make the attext command work. 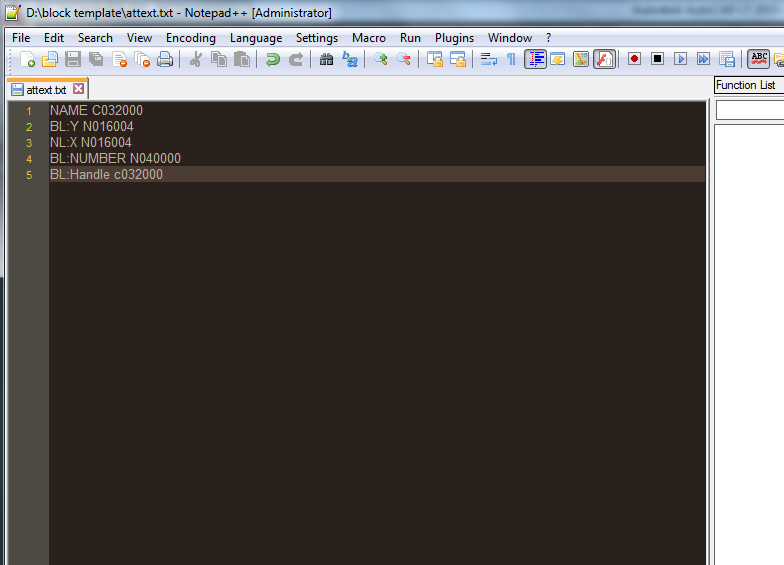 So, I use Notepad++ to do my text documents and some other programming work. Right now I am just going to look at line one; on this line you will see "NAME C032000". This first line is what determines whether you will be able to extract block info or not. 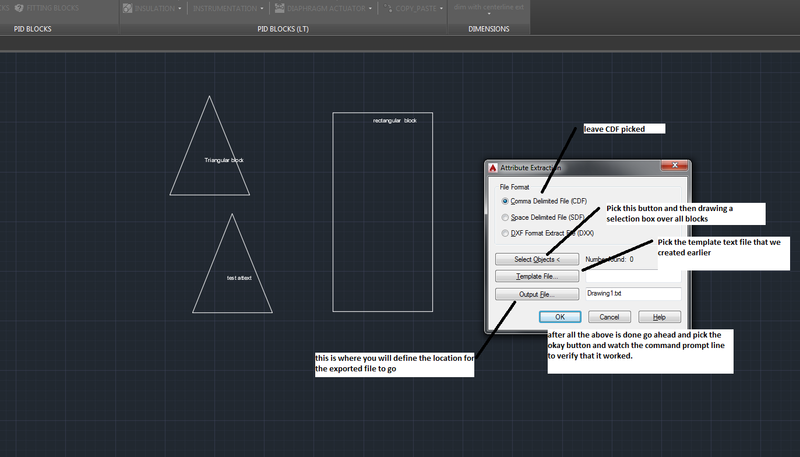 In the first picture below I am showing inside the block editor of Autocad LT; where i am defining a new Attribute. The Tag line in the Attribute is what you are going to be pulling from in the ATTEXT command. 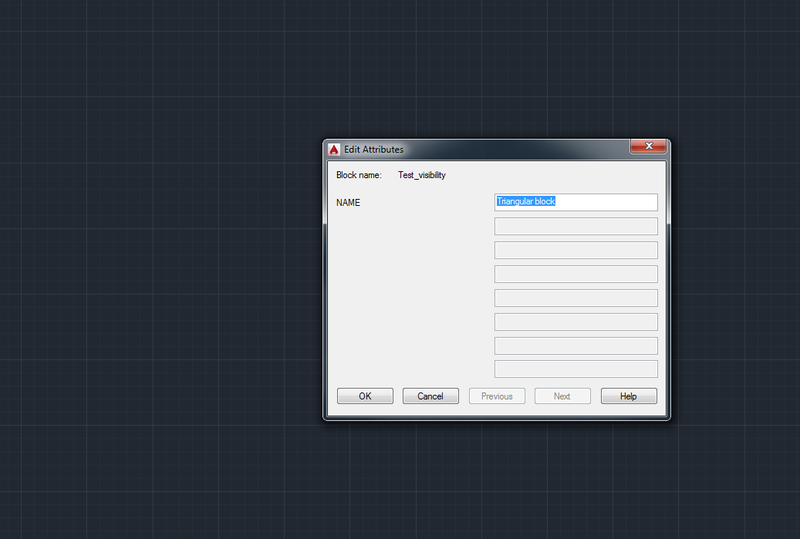 So, below you will see as we insert a block that the attribute that is defined is labeled as "NAME", and if you remember that in our ATTEXT template the first line was labeled NAME. Now you can set up multiple different attributes that can be pulled out, but we are just going to stick with this for now. So, we have our block inserted and the title of it is defined in the attribute. So, let's say we put 3 or 4 blocks in their whether they are the same or different ones. We can go ahead and do our Attribute Text export. So, type in ATTEXT and hit enter, then follow the steps in the image below to finish out the command. So, this finishes our exporting of the Attribute Text; next time we will look at how to convert that text info into an actual spreadsheet. So, this next series is going to be for you guys that are able to machine parts and maybe have to use non-integrated software to program your parts to post g-codes. Inventor HSM provides the solution for an integrated workflow between your design and manufacturing. 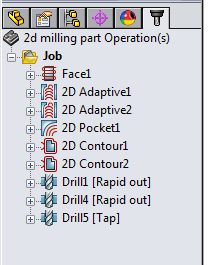 With HSM you can toggle between your model features and cam features all in the same file. Below is a video of the first part of this series (all the videos are going to be posted to screencast, so i highly recommend checking that site out as well because there are some great videos). In this video we are showing the setup and generation of toolpaths to machine the top portion of the side pieces for my trebuchet (i know...geeky moment for me, but i thought it was a good idea to do this video series on). Do you sometimes have issues setting up assembly joints in Fusion? Below is a link to a short screencast video that I made that shows 2 quick ways to setup joints when trying to assembly a part in a fixture set to be installed in a CNC machine. There are many awesome options in the assembly joint options. So, again this is a short video of assembling a couple parts with 2 joints. 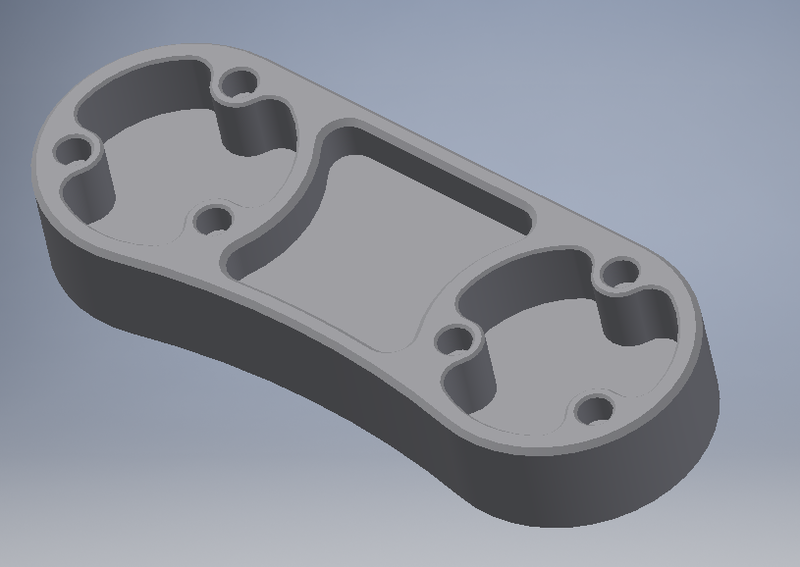 If you like what you see you ought to visit fusion360.autodesk.com and download the trial and take it for a test run. In parts 1 & 2 we looked at how to pull information into inventor from an excel doc and also how to pull information from inventor into excel. On this last part we are going to look at how to create an excel doc using ilogic and then pull information from inventor into that newly created excel doc. So, let's go ahead and dive in. myXLS_file = "C:\Users\Public\Documents\Autodesk\Inventor 2015\Templates\" & iProperties.Value("Custom", "Customer") & "-" & iProperties.Value("Project", "Project") & ".xls"
.ActiveCell.Value = "Address Line 1:"
.ActiveCell.Value = "Address Line 2:"
At the beginning of this code we are defining the path in which the file is going to be saved and also defining the name of the excel file being created. 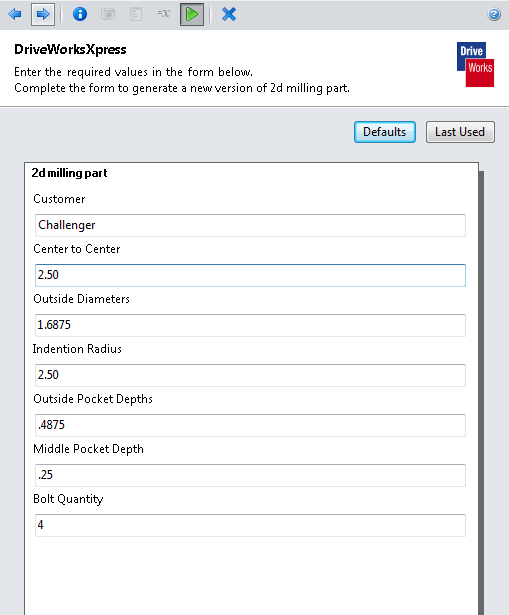 In the naming of the excel document we are pulling Inventor iproperties out to give it the name. One other thing that you will notice is the difference in which we are pulling out the information. In this form we are calling to activate a certain cell and then populate it with the text or property that we assign to it. Where as in the other parts we are calling to an excel app where as before we called out "GoExcel". With calling the excel app we are basically starting a new file from scratch which is why we can't do the "GoExcel". Once you have placed the code to fill in the cells how you want it then we do our coding to autofit the columns to the text, and then we do a save as which refers to the initial variable that we defined in the code. Then we call an excel close to close the file and quit to end the excelapp to make sure that Inventor fully closes out of the excel function.